The Hazard Analysis Critical Control Point System (HACCP) is an internationally recognized food safety management system for preventing biological, chemical, and physical hazards from entering products intended for human consumption as part of SQF Certification. 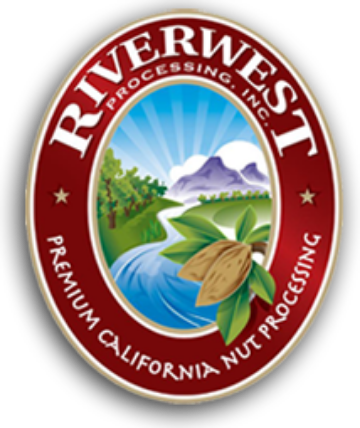 Riverwest is HACCP certified by the TUV SUD America, which verifies that our HACCP plan is appropriate and meets all HACCP requirements. By following our HACCP plan, we effectively reduce the likelihood of a significant hazard during food production. With our HACCP plan, we take preventative action against the following hazards, some of which can occur through the natural production of almonds, and some of which can originate in improper processing. Agricultural chemicals, cleaning chemicals, lubricants, paints, etc. To develop our plan, we followed HACCP’s seven steps for establishing food safety. Conduct an onsite hazard analysis. Prepare a list of steps in the process where significant hazards could occur and describe the preventative measures. Identify critical control points (CCPs) in the process. A CCP is a step in the process at which control can be applied and risk can be prevented, eliminated, or reduced to an acceptable level. Establish CCP monitoring requirements and methods for using the results of monitoring to adjust the process and maintain control. Establish procedures for verifying that the HACCP system is working correctly. Our HACCP plan’s success depends first and foremost on our team’s understanding of the plan, commitment to the procedures, and daily follow-through. Our managers provide our employees with ongoing HACCP training. Since our products come from various farms around the area, we focus on partnering with growers who follow good agricultural practices (GAPs) to help ensure food safety from the very beginning of the almond production process. Our HACCP team annually audits our existing systems to check for adherence and look for areas of improvement. Riverwest’s detailed HACCP plan provides the framework for our everyday operations. Our HACCP plan provides direction and safety procedures for every facet of our business.